In the thirteen years of its existence, Family of Disabled, through its founder-coordinator, Rajinder Johar, has received thirteen awards from government and non-government agencies for its services to the disabled people. 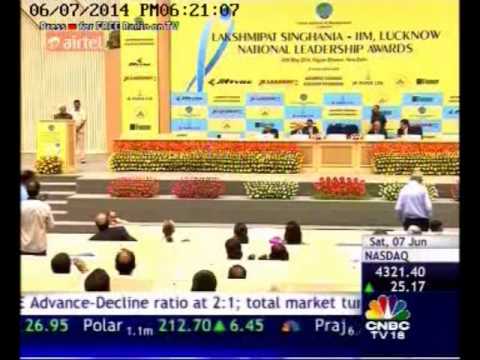 Lakshmipat Singhania- IIM, Lucknow National Leadership Award 2012 was conferred on Dr. Rajinder Johar by the Hon'ble Vice President of India - Sh. Hamid Ansari for his leadership in the sphere of social upliftment of the disabled fraternity on May 26, 2014 at Vigyan Bhawan, New Delhi. IMWA AWARD - 2013 (26-1-2013) instituted by Indian Media Welfare Association was presented to Mr. Rajinder Johar, by Dr. AK Walia, Minister of Health & Family Welfare, Delhi Government, for his exceptional services to the disabled people. 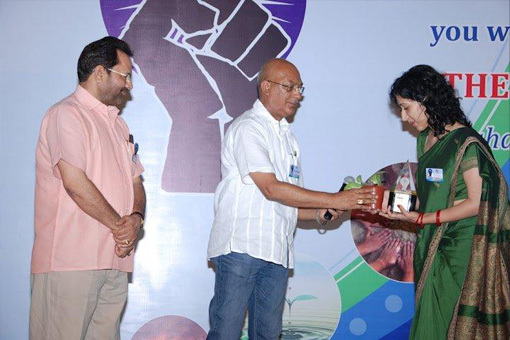 IMMAN INDIA SAMMAN (18-8-2012) instituted by Aavishkar Media Group was bestowed upon Rajinder Johar for his untiring efforts to bring a positive SOCIAL CHANGE in INDIA. BEYOND THE LIMITS AWARD � 2012 (27-2-12) instituted by India Book of Records was conferred upon Rajinder Johar, founder and chief coordinator, Family Of Disabled, for his outstanding contribution towards helping the disabled people at Record Breakers� Festival in Noida. 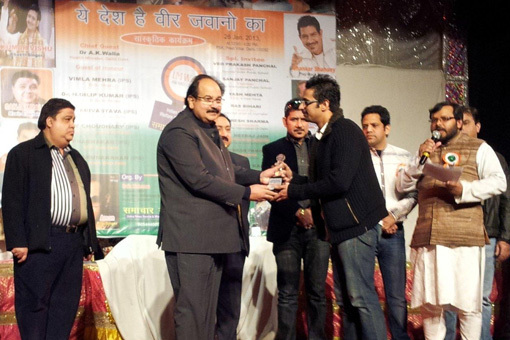 POSITIVE HEALTH HERO AWARD (16-12-2010) instituted by Dr. Batra�s Positive Health Clinic Pvt. Ltd. in New Delhi. 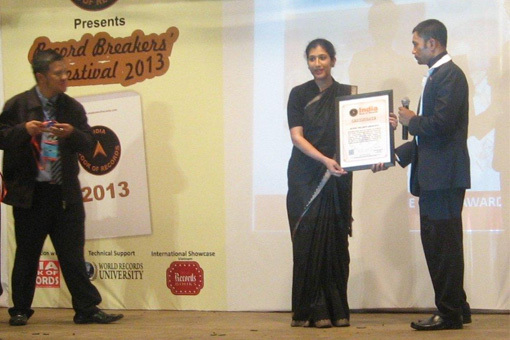 LIFE TIME ACHIEVEMENT' KARMAVEER PURASKAAR (26-11-2010) instituted by Indian Confederation of NGOs. MANAV SEWA PRERNA AWARD (2009-10) instituted by Physically Handicapped Welfare Society, New Delhi. 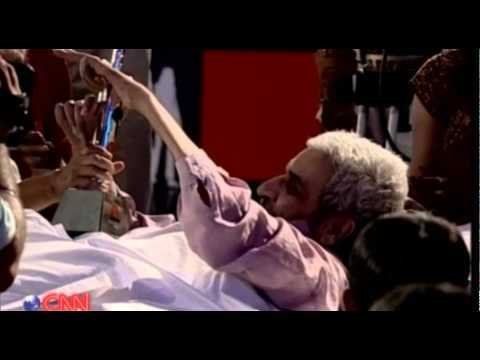 CITIZEN JOURNALIST AWARD IN 'BE THE CHANGE' category (16-10-2008), initiated by CNN-IBN and IBN7 (Network-18) was conferred by the chief minister of Delhi, Sheila Dikshit. 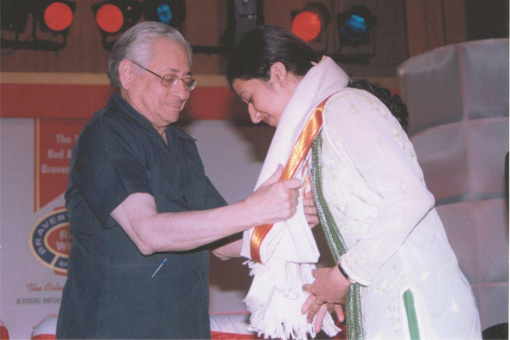 Preeti Johar, receiving CAVINKARE ABILITY EMINENCE AWARD 2005 (26-2-2005) instituted by Ability Foundation, Chennai, in association with CavinKare. The Award honours those disabled individuals, who have achieved exemplary success in not only overcoming their own disability with great fortitude but have also gone beyond that and are contributing preciously for the welfare of the less privileged section of the society. OUTSTANDING CONTRIBUTION IN THE FIELD OF REHABILITATION OF DISABLED PEOPLE IN INDIA (3-12-2004) instituted by Department of Rehabilitation Medicine and Physiotherapy, Sir Ganga Ram Hospital, New Delhi. 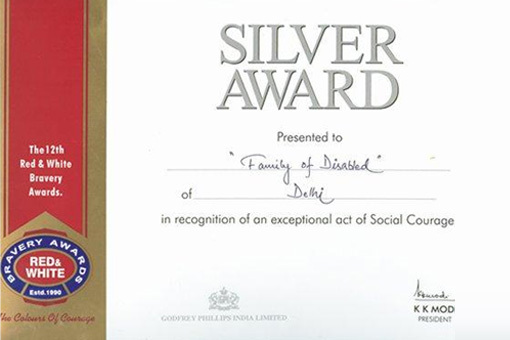 RED & WHITE BRAVERY SILVER AWARD for exceptional act of social courage (30-12-2004) Instituted by Godfrey Phillips India Ltd. was presented to Family Of Disabled (NGO) by Mr. Soli Sorabjee, Attorney General of India. HELEN KELLER AWARD, for creating employment for poor disabled people (2-12-2003) instituted jointly by National Centre for Promotion of Employment for Disabled People and Shell India, was conferred on Family Of Disabled (NGO). 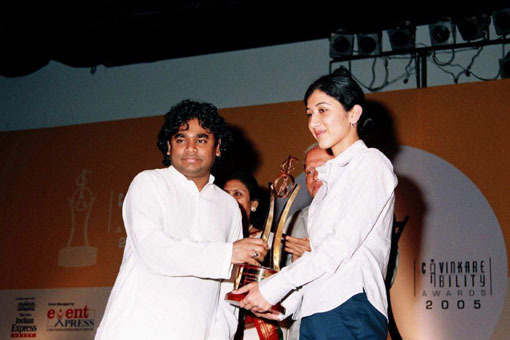 KAILASHPATI SINGHANIA AWARD, instituted by National Society for Equal Opportunities for the Handicapped India, at its premises in Mumbai on December 9, 2000, for outstanding disabled male. RED & WHITE BRAVERY AWARD (Gold) (26-5-1999) in recognition of exceptional act of social courage. OUTSTANDING ACHIEVEMENT AWARD 1997 (3-1-1998) for remarkable achievements in life, instituted by Management Studies Promotion Institute, New Delhi. 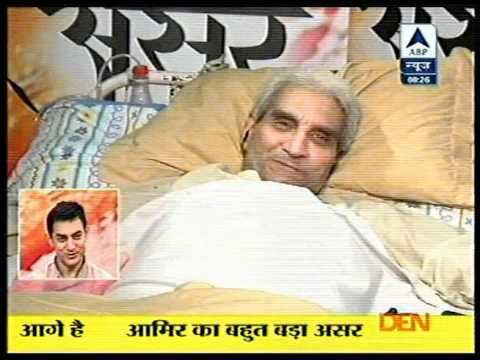 NATIONAL AWARD (3-12-1996) in public recognition of outstanding performance as the most efficient self-employed disabled person from the President of India. T.P. JHUNJHUNWALA SOCIAL SERVICE AWARD 1994 (1-1-1995) for contribution made for the betterment of disabled people, by Rajasthan Club. DELHI STATE AWARD 1994 (27-7-1994) for meritorious performance despite severe physical handicap, by Department of Social Welfare, Government of Delhi was presented by Chief Minister of Delhi, M.L. Khurana. RAM KRISHNA JAI DAYAL HARMONY AWARD 1992 (6-7-1994), instituted by Organisation of Understanding and Fraternity, was presented in New Delhi, by Chief Minister of Uttar Pradesh. PROFESSIONAL EXCELLENCE AWARD 1993, instituted by the All India Occupational Therapists' Association. This award is the highest honour for recognition of outstanding services in the profession of Occupational Therapy in India. MANAV SEWA AWARD 1993 FOR OUTSTANDING CONTRIBUTION FOR WELFARE OF THE DISABLED PEOPLE (20-8-1993) , instituted by Sapnaa, a voluntary organisation, was presented by Union HRD Minister Arjun Singh after being nominated by Rajiv Gandhi Foundation. 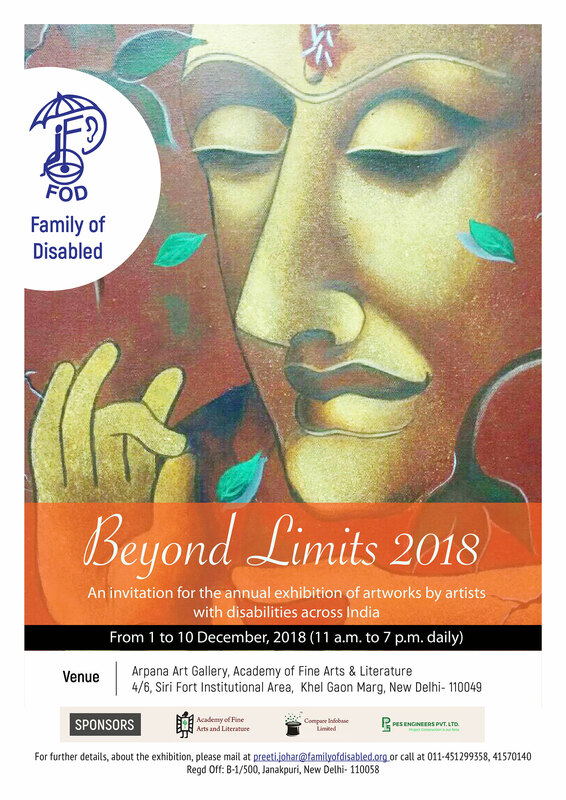 FOD was one of the two organizations chosen from entire India and portrayed in the episode based on disability in the Aamir Khan�s TV serial on social issues Satyamev Jayate telecast simultaneously on many TV channels across India on June 10, 2012. FOD has been mentioned for the uniqueness of the services it offers to the disabled people for their welfare in India Book of Records 2012 (page 215).